Over the last several years, Craigslist has made many changes to their policies and also to the HTML and CSS that’s supported in the real estate ads. The recent changes by Craigslist are the most significant to date and have the most impact on virtual tour software companies. RTV’s Fusion virtual tour system has several unique Craigslist ads that you can choose from when posting your virtual tour flyer onto Craigslist. RTV’s beautiful Craigslist ads that we had setup for you used the following HTML tags IMG, FONT, TABLE, DIV, and SPAN. All of these tags are no longer supported meaning we can’t pull your images from our virtual tour software system to automatically populate your ads on Craigslist. Ultimately this means that we will once again need to be rewrite this section of Fusion for you. If you want images in your ads – which we highly recommend – you will need to upload the images manually. We expect to have our new ads done here soon and while it will provide a clean, professional look that makes your ads easy to read it won’t be as elegant as our previous ads that he had setup for you. If you have outstanding Ads out there, you should re-publish your listing to generate this new format once we release it. Please stay tuned and we’ll be announcing the new Craigslist format once it is ready to be used which should be any day now. RTV is pleased to announce the offering of Multi-Language support for the Fusion virtual tour system. With customers in nearly 50 countries, we’re dedicated to our continued growth outside of the USA and Canada. Our international customers can now set up a default language for their virtual tour productions. In addition, property investors living outside of the USA, shopping for real estate in the USA and Canada can now view property descriptions, MLS information, scene captions, and virtual tour instructions in their own language with a single click. 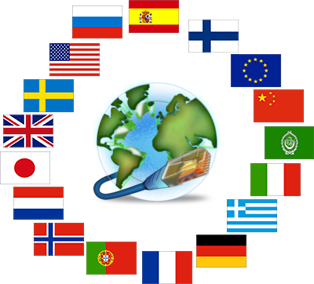 The RTV Fusion system is the very first virtual tour system to support several languages VS one or two. Our Multi-Language Engine allows the virtual tour creator to either setup the default language on a per-customer or per-tour basis. The virtual tour will start off using the selected language, but the user can change it at any time simply by clicking the flag in the lower right hand corner. Preview a sample virtual tour here: http://tours.conklinmarketing360.com/39671 To change the language, simply click on the flag in the lower right corner of the presentation. Adding a new language is quite simple now that the bulk of the programming in place. If you need a language added to our Fusion virtual tour system just let us know! With the explosive growth of our system outside of the USA and Canada, as well as so many outside property investors purchasing property in the USA right now, our Multi-Language Support Engine was essential. We’re excited about future opportunities with our company, including the expansion of our product line to more countries. So far our local virtual tour company, “Perfect Images” has done 500 virtual tours. We’ve done tours for 80 realtors and over 35 real estate companies, some commercial business too. Does this make us experts on Virtual Tours? I believe it does. I remember the days when our first virtual tours would take us about two to three hours to finish. Of course, it did not take us long to bring this time down to one hour or less. I am talking about the whole process. Taking the pictures takes approximately 30 minutes and the stitching process another 30 minutes or less. You know, that what’s so great about working with a virtual tour software company like Real Tour Vision. The process is simple and fast. Their customer service is outstanding, and for that reason we can guarantee our customers the links the same day of the photo shoot! Isn’t that incredible? It’s amazing the horror stories I here about other virtual tour companies. Some take a whole week to send the links out and some just don’t do it at all. Real Tour Vision is an example of what a virtual tour company should be, outstanding customer service and a pioneer in technology. I see myself and my company being a part of Real Tour Vision for a very long time. Great Job Real Tour Vision! The company that sends us all of our hotel photography shoots, RTV, Inc. has a national conference that we will be attending in May. I will be teaching other virtual tour providers about how to market their virtual tour business but the real reason we are attending is to learn from other virtual tour providers about their best practices. Even after almost 15 years as a professional photographer, Ben is always open to learn better ways of improving his skills and systems as a photographer. Having your own business requires just this sort of determination – especially the sales part. Like I said earlier, I know that when I am calling for a new area, I need to make about 100 calls in order to book two or three tours. What that means is that I am going to get no one on the phone or get told NO about 97 times a week. I got an email last week from a business that said they were interested in doing a tour but needed to pass for now. I exclaimed my disappointment and Ben said, “I think sometimes you think everybody that shows any interest is a Yes”. I realized at that minute that there’s a reason that he’s the photographer and technical guy and I’m the salesman. He’s right…I absolutely believe that everybody that I talk to would benefit from what I am selling because before I call, I have researched their websites to see if a virtual tour would be a good addition to their marketing efforts. I know the value and quality of our tours so I am absolutely flabbergasted every time someone tells me “No”. If I did not think that way, I would become overwhelmed by the 97 No’s I get and I would want to quit making the calls.